Is it time to consider an accounts based marketing strategy? This might not be the first time you’ve heard of 'ABM' (accounts based marketing). Previously known as ‘key accounts marketing,’ ABM assumes that B2B buying decisions are down to a group of people, rather than an individual. Therefore, as opposed to using broad, traditional marketing techniques, it relies on a close alignment between sales and marketing to identify key influencers and decision makers within a business, supplying them with personalised, relevant, and compelling content. ABM can be defined as a 'strategic approach to business marketing where an organisation considers and communicates with individual prospects or customer accounts as markets of one'. And, currently, 84% of B2B marketers believe ABM provides significant benefits for retaining and expanding current relationships. So it's worth trying to get your head around if you’re struggling to generate leads within a lengthy sales cycle. Matt Heinz quite aptly likens ABM to ‘fishing with spears rather than with nets’. It gives you have the power to magnify a traditional content marketing strategy and place solutions in front of the buyer, rather than waiting for them to find it. After forming a list of highly-targeted accounts, sales and marketing empower one another to identify the pain points and challenges of a particular account, deciding on the best channels to deliver highly personalised content. How does it differ from Inbound? In its simplest terms, inbound marketing seeks to deliver valuable, helpful content for each stage of the buyer's journey. It's created based on a set of specific (persona-based) prospects, and purposefully addresses an entire industry. Your aim to ultimately attract visitors and covert them into leads. ABM on the other hand places compelling, personalised content in front of the prospect at the right time, rather than waiting for them to find it. It targets accounts as whole markets, rather than industries. From there, sales and marketing identify the key influencers and decision makers. This is achieved through extensive research and a combination of sales and marketing. Only then can you build a focused list of accounts, delivering content that is based on specific company challenges and recent events within an industry. How can I combine ABM and Inbound? So, we already know that inbound works, right? Empowering clients with compelling content through an alternative B2B marketing strategy can maximise potential and in turn, ROI and lead generation. Using a customer-centric approach, it generates 67% more leads than traditional marketing. But merging these components with an ABM strategy helps you continue to deliver high quality, valuable content, but to a specific set of key influencers and decision makers, based on their companies' needs and goals. Context is the glue that pulls an inbound and an accounts based strategy together, and used in tandem the two complement each other remarkably. ABM is circumstantially, very dependent on buyer personas, and requires you to build and nurture relationships based on quality, not quantity. Without inbound, ABM can become intrusive, and disruptive. 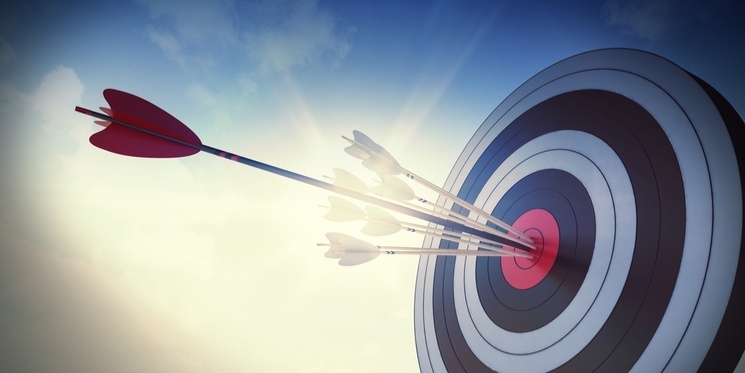 Conceivably, a targeted version of inbound, using ABM precision will accelerate your efforts. This is fueling a new generation of inbound: an approach that is customer focused, driven by content, yet non-intrusive, and designed to appeal to customers on a more detailed level. Is ABM right for me? ABM is excellent if you have highly specific service or complex proposition, (such as SaaS or manufacturing) where it’s easy to pinpoint a manageable list of potential buyers. Many B2B businesses have a list of addressable businesses that fit the criteria of their ideal client, and if this is you, a blended ABM-Inbound model could be the next step. If you have a lengthy sales cycle, eliminating silos might be the answer to a streamlined marketing process, helping you to target with a clearer focus, which is sometimes lost with the traditional sales to marketing handover process. With quantified research, sales and marketing alignments can pinpoint an ideal fit, targeting them with a strategy designed through exploration of pain points, needs, visions and goals. As a starting point, review any existing targeting strategies, and begin to segregate your databases. How do you identify your ideal fit - by company size, location, or challenges? Is this something a close sales and marketing alignment will help you to achieve? From there, you can look at your existing methods of advertising or content marketing to set a benchmark for your new ABM-Inbound strategy. Are visitors to your website making conversions? Is traffic to your website stagnant? Who is your ideal client? These are just some of the questions you'll need to answer. Our free ebook offers some insider advice on how to you can unify your sales and marketing resources, and subsequently kickstart your ABM-inbound strategy. If you'd rather, speak to us about your goals and we'll be completely transparent about whether or not this is the right fit for you.